Canada’s national parks and marine conservation areas help protect marine species and their habitat from the threat of human activities. In British Columbia, DFO cooperates with Parks Canada and others to manage sport fishing in these areas. If you are planning to fish in a Provincial Park or Recreational Area, be aware that the Park Act and its regulations apply, as well as tidal water or freshwater fishing regulations, as appropriate. Gulf Islands National Park Reserve (GINPR) is spread over many islands, islets, reefs and adjacent waters in the southern-most Gulf Islands. Always check the latest closures and restrictions for the area where you are fishing. Fishing restrictions map provided by Parks Canada. Click thumbnail to enlarge image. Freshwater fishing is not permitted in Pacific Rim National Park Reserve. Proposed Southern Strait of Georgia National Marine Conservation Area Reserve (NMCA) covers approximately 1,400 sq. km, stretching from Cordova Bay to southern Gabriola Island, including Saanich Inlet. Always check the latest closures and restrictions for the area where you are fishing. Sponge reefs in British Columbia are essentially living fossils. Individual sponges can survive for up to 450 years, and their communities date back some 9,000 years. Do your part to protect sensitive sponge and coral habitat by not fishing trap gear for crab, octopus, prawn or shrimp in areas where such fishing is not allowed. Move to another location any time you recover your trap gear and find pieces of sponge or coral attached. In areas 14, 17, 18, 28 and 29, Strait of Georgia and Howe Sound, there are a number of isolated sponge reefs that are closed to all prawn, shrimp, crab and groundfish (including halibut) fishing. As of April 1, 2019, the use of downrigger gear in recreational salmon trolling is also prohibited In portions of Area 28-2 and 28-4, due to potential damage to shallower reefs. Sponge reefs are found in the Hecate Strait and Queen Charlotte Sound Glass Sponge Reef Marine Protected Area in areas 105, 106, 107, and 110 in waters deeper than 100 m in depth. These areas are closed to all fishing. Sponge reefs are also found in the Offshore Pacific Seamounts and Vents Closure in portions of areas 123 to 127, and 130. These areas are closed to all bottom-contact commercial and recreational fishing activities. DFO designates MPAs to protect important fish and marine mammal habitats and endangered marine species. In MPAs, it is generally prohibited to carry out any activity that disturbs, damages, destroys or removes any living marine organism or any part of its habitat or is likely to do so. AOIs contain ecologically-sensitive land or species that need extra protection. The designation of an area of interest is the first step towards establishing a marine protected area. Before you go fishing, find out where British Columbia’s RCAs are located. 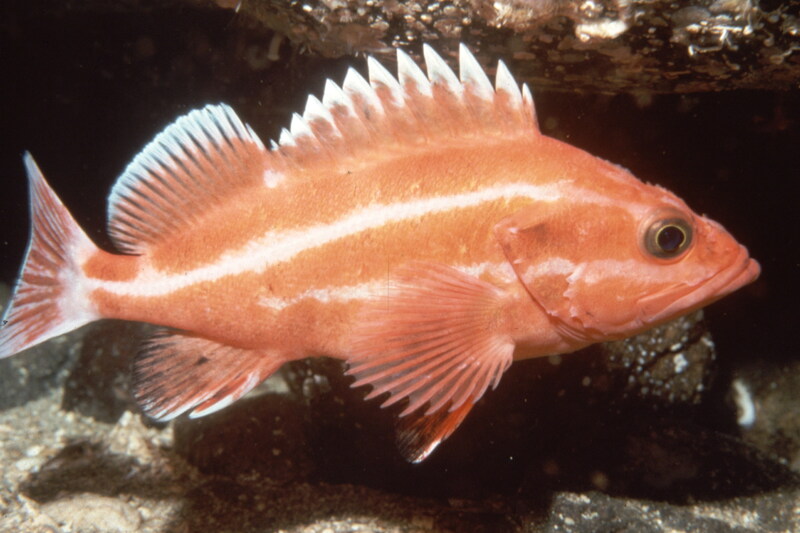 Certain coastal areas are designated rockfish conservation areas (RCAs). Populations of British Columbia’s inshore rockfish, such as yelloweye, quillback, copper, china, and tiger rockfish, are at low levels, especially in the Strait of Georgia. DFO needs your help to keep the numbers from falling more.